Finally! It’s pretty safe to say that Resident Evil REmake (or REbirth, REmastered, REborn whatever the 2002 game) is one of the best looking games in the series. Not because of actual graphical fidelity, but due to just an insane level of detail and care put into the pre-rendered backgrounds. 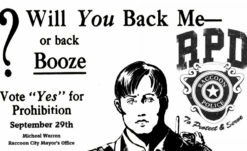 If you’re unfamiliar with how OG Resident Evil games worked, they weren’t actually 3D. While some “classic” style games in the series have used 3D environments (Outbreak, Code: Veronica), the grand majority only created the illusion of 3D. Using invisible collision detection overlaid onto a 2D “illustrations” (for lack of a better word), the RE games would create a realistic and intensely detailed world that simply wouldn’t have been possible at the time with 3D rendering. It’s amazing looking, and it’s part of why those games still look so good today compared to other contemporary games. With the two classic style games made for GameCube, REmake and RE0, they were able to push that even further and create what I don’t think anyone would have a problem with calling the best looking fixed camera games ever made. The level of detail was simply incredible, and it was unlike anything ever seen before or since. …But it doesn’t really hold up that well in HD because those backgrounds where 4:3 and 480p and there isn’t much that can be done about that. REupscale project is a mod that upscales and corrects, using Topaz’s A.I. 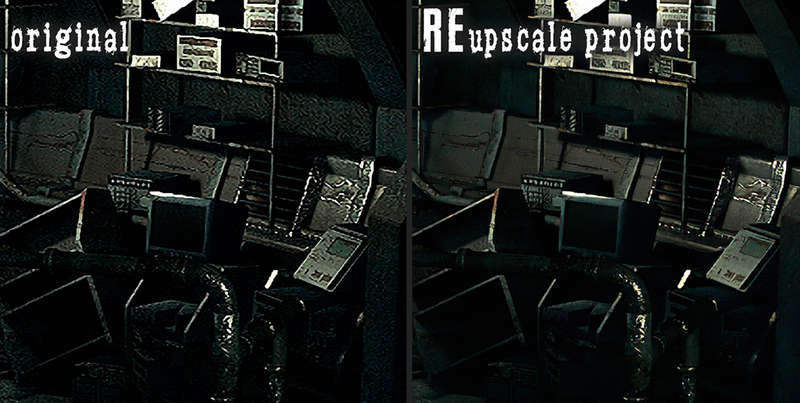 Gigapixel, the background textures of Resident Evil HD Remaster. The textures are the kept at the same original resolution (1920×1440) but they are obtained by downsampling images twice the resolution. Some textures use the Gamecube original source (~90%) while others are upscaled from the HD Remastered texture (~10%). The mod is complete, therefore, the whole game is fully playable from start to finish, but I can’t guarantee that it’s a bug-free experience. So far, I have completed a run with Jill and I’m in the middle of one with Chris and I have yet to find any bug that wasn’t present in the original game. Please, use this page or the Contact Form to report any issue. The release contains more than 1600 replaced textures, between gameplay and cutscenes. However, not all the textures have been upscaled, the rooms that Capcom redid as 3D rendered rooms have not been modified. The download links can be found here, offered in Mega and Google Drive, alongside with the instructions to install the mod. Pretty frickin’ sweet if you ask me. It was the one and only thing that held REmake HD back when it released, and I can’t wait to go diving in again to check it out. Maybe the upscaled backgrounds fix the pool tree mistake? 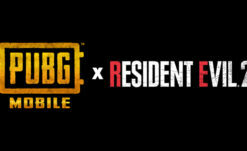 Even if it doesn’t, this is still a huge and cool gift to RE lovers on PC. I’ll probably do a stream soon-ish to check it out for myself.